At Integrity Paramedical Skin Practitioners we have treatments that are designed to treat rosacea, red reactive skin or skin that shows capillary weakness. We utilise specific modalities and ingredients that strengthen skin to provide real, long-term results. The treatment of red reactive skins is determined by each individual case. Some skins are red due to a reaction from products that aren’t recognised by our own skin’s chemistry, like the prescriptive DMK skincare products. When treating the rosacea condition, it may be necessary to treat the skin with Alkaline and Enzyme solution to rid the skin of any parasites or bacterial or fungal infections. The skin will experience more redness and downtime; however, under your skin practitioner’s care and using DMK home care products, healing will take place. The DMK Quick Peel is also used alongside Enzyme Therapy to flush and strengthen the capillary network. Similar to the sensation of applying deep heat to a muscle, this therapy creates a false/pseudo heat, which feels hot on the skin temporarily but will have the effect of moving trapped blood through a capillary, rather than cause veins to swell, giving skin the appearance of broken capillaries. A digestive tune-up is also highly recommended for our Rosacea clients, along with regular in-clinic sessions to reduce skin stress. 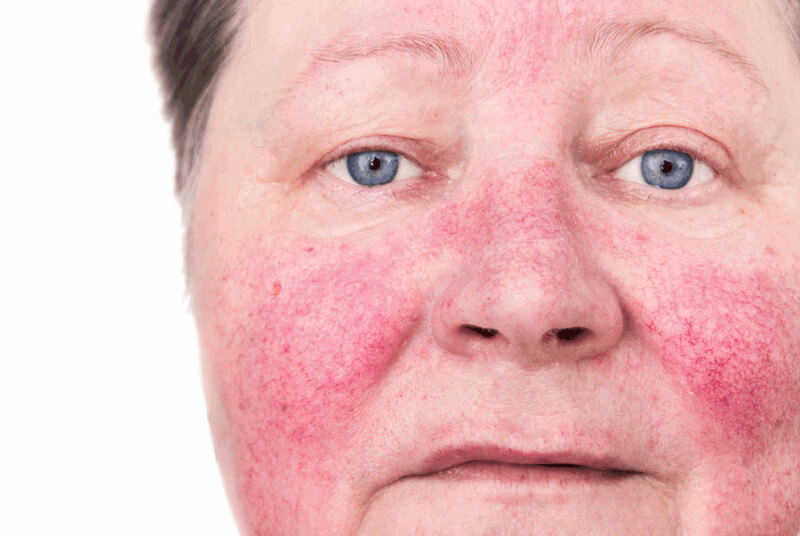 Many clients with Rosacea have tried therapies like IPL, laser or prescriptive medication; our approach is very different as we treat this condition with several levels of care. Feel free to come in for a consultation for advice on all levels of care before starting treatment. We highly recommend all advice be followed as treating this condition will require commitment from both our skin practitioners and you.